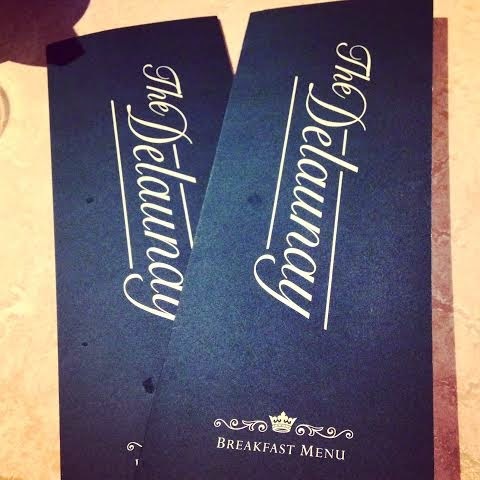 For the last decade or so, my mum and I have had a Christmas Eve tradition of treating ourselves to a fancy Christmas Eve breakfast. 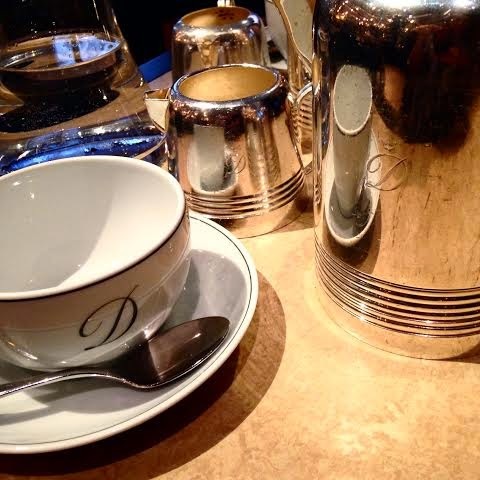 In the past we have indulged at Richoux, Fortnum & Mason and Cecconis, to name a few. This years choice came highly recommended and I'm happy to say it did not disappoint! After walking up and down the Kingsway, finally I found it tucked around a corner... (a native Londoner? I hear you ask) On arrival I was greeted by the hostess and taken to my table where my mum was sat sipping on a cup of coffee.. I had expected to see a glass of champagne in her! 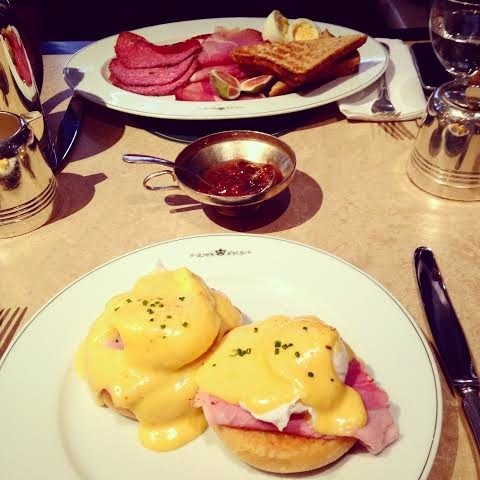 After plenty of um-ing and ah-ing (I am rather indecisive when it comes to food) I settled upon, yep you guessed it, my favourite of Eggs Benedict while my mum choose a Delaunay special- the Viennese breakfast. 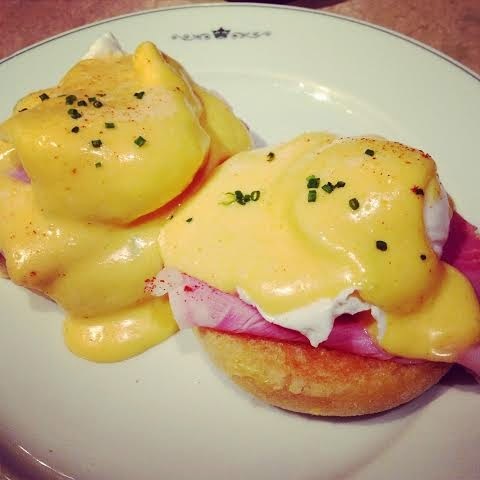 When my breakfast arrived I was pleasantly surprised by the size of it- two organic perfectly poached eggs, sat on top of thick cut ham and an English muffin topped off with a vibrant hollandaise sauce! Although I struggled to finish it, (very good value for money I might add) I was truly satisfied and set up for Christmas Eve festivities! The Viennese special consisted of Smoked Ham, Salami, Artisan Gouda, Boiled eggs and fresh Figs- a very continental twist and one that my mum thoroughly enjoyed! 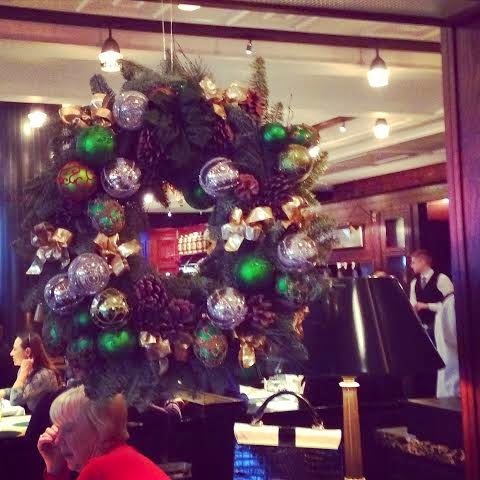 As well as the delicious food, the service at The Delaunay was impeccable and the atmosphere was full of festive cheer! My mum and I enjoyed it so much that we have vowed to return next Christmas Eve, and guess what? I may actually have something other than Eggs Benedict! Hope you've all had a happy holidays!